Elliptical trainers have become a popular alternative to traditional cardio exercise such as running and treadmill use. While comparable to a treadmill in its leg and cardio workout, the body moves differently with an elliptical. The best elliptical machines are designed to create a gliding, rhythmic motion that is gentler on joints. Another difference is the elliptical’s ability to incorporate an upper body workout, whereas the treadmill works exclusively on the lower body. For more of my recommendations, have a look through these popular Women’s Workout guide links: Vertical Climbers, Spin Bikes, Rowing Machines. We’ve reviewed the top rated elliptical machines for home use, followed by a comparison table and buying guide to help you decide on an elliptical that will work best for you. When you look at the ratio of features and functions to price, the AFG Sport 5.9AE Elliptical really packs a punch and might be the best home elliptical on our list. So, where to start? First, this is a flywheel-driven elliptical that’s incorporated the latest technology for an enjoyable and effective elliptical workout. You would think all higher-end ellipticals would be Bluetooth enabled, but not true. Luckily this model does include Bluetooth technology for use with your tablet or Smartphone. Along with this feature this elliptical has 2 5-watt speakers with clear sound and decent volume. An app is included, which not only tracks your progress, but can also control the settings on your elliptical. It allows you to set up more than one user account. Believe it or not, this machine has 43 workout programs, 16 resistance levels, and 20 levels of incline which is a remarkable range and variety when you compare it to other more expensive options. There’s a built in fan, but shorter women may not be able to take advantage of this feature, as its positioned to blow upward. That was kind of disappointing, as it’s a nice addition to the machine. The console has a ledge large enough to hold a tablet, but don’t expect to fit a book or magazine on it. The LED screens display calories burned, time, distance and heart rate. We like the resistance handles. They are designed a bit differently from most ellipticals. They are curved upward which keeps them completely outside of your lower body zone, meaning there’s not chance your lower body will collide with them. In terms of sturdiness, the AFG Sport 5.9AE Elliptical stays in place firmly when mounting and dismounting. You don’t feel like the pedals could slip out from under you. The frame isn’t wobbly and it stays put while in use. It can hold up to 325 lbs, according to the manufacturer’s specs. Movements on this machine feel like gliding. They are smooth, rhythmic, and quiet. This elliptical can be used in a regular forward motion or pedaled in reverse. It doesn’t take up as much floor space as the behemoths you use at the gym, but it’s still sizeable, measuring approximately 76 x 34 x 57 inches. With wheels built into the front and a handle on the back, it’s portable so can be propped up and pushed into place. Having said that, it’s fair to add that it’s also quite heavy. This includes a free chest strap for wireless heart rate monitoring, but I typically chuck these kinds of things in a drawer and forget about them. There’s the alternative of cupping your hands around the integrated pulse grip. We aren’t sure how reliable either the strap or pulse grip is though, as the display showed a heart rate that didn’t seem to correspond with effort exerted. This might be a dealbreaker for someone who relies on an accurate read during their workout. The EFITMENT Magnetic Elliptical Machine Trainer is our Editors Choice for the best elliptical machine. It’s a non-electric elliptical trainer that relies on a belt driven flywheel to provide resistance. This is a plus for women who don’t feel like dealing with tangled cords or don’t want their workout to be dictated by the nearest electrical outlet. 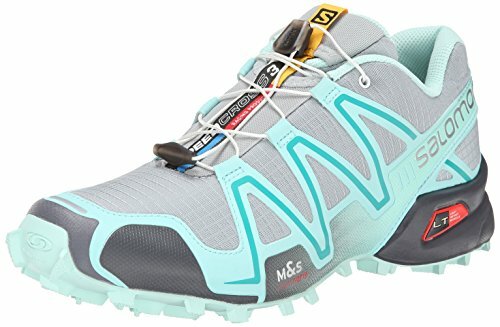 It has 8 levels of resistance that provide a nice range depending on where you are on the fitness spectrum. The resistance controls are easily-accessible for altering while the machine is in use. While it offers variable resistance, this machine does not change speeds. The speed of your workout will depend all on you. Unlike the electric-powered elliptical trainers, this one doesn’t have an incline feature. The pedals are textured for slip-resistance and have a lip to ensure your feet don’t slip off the front. It’s worth noting that while the pedals do move in backward motion, the manufacturer doesn’t recommend it for backward use. The handle bars include sensors for tracking pulse and heart rate; and the LCD monitor displays pulse along with time active, calories burned, and speed. The console has a ledge for propping reading material, tablet or phone. The EFITMENT Magnetic Elliptical Machine Trainer is portable which is a key consideration if you plan on storing your machine when not in use. 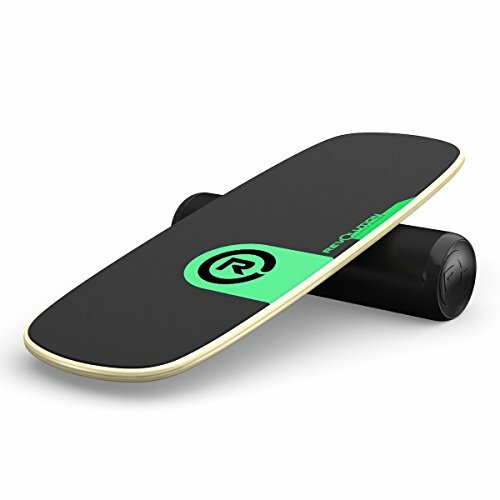 It comes with wheel on the front which allows you to roll it back into storage. Simply tilt and roll out for use or away for storage. This elliptical is good for tight spaces for those who don’t have much room to spare. You have to assemble this elliptical, but it’s doable. While it may look intimidating at first, with good concentration and taking it step-by-step, you should be able to assemble the entire thing within 45 minutes or so. 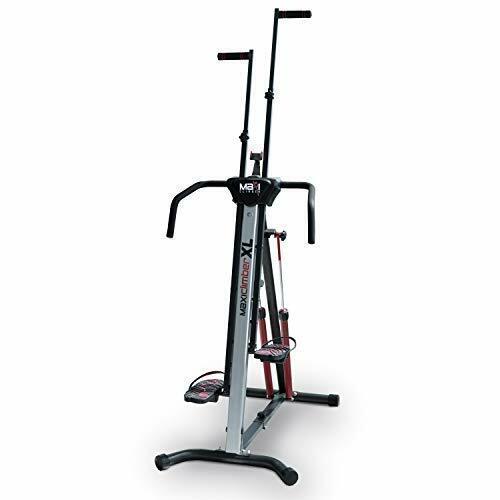 This machine provides a low impact workout which is gentle on your joints while still giving a hearty cardio workout. The workout is smooth and steady, but if you’re used to the elliptical at your local gym, don’t expect it to feel as sturdy as one of those heavy models which run can run up to $4,000. The EFITMENT Magnetic Elliptical Machine Trainer full-sized trainer, so it’s good to be realistic about this before making a choice on the style that’s best for you. The manufacturer claims the weight limit is 220 lbs, but we wouldn’t recommend it for anyone over 190 lbs. or so. Overall, this seems to be a sturdy, reliable machine at an affordable price. Per the manufacturer it weighs approximately 80 lbs and measures 2” x 3”. If you’re concerned about space, this model is worthy of consideration, especially if you plan to use it in a room with a low ceiling because this machine doesn’t elevate you above the floor as high as most other ellipticals. If your on a budget, the is the best elliptical under $500. The Cubii Pro Under Desk Elliptical is unique from the others we tried out in that it fits under your desk or a table and is intended for use while you are engaged in other activities. For someone who wants to use this machine at work, it’s sufficiently quiet provided it’s not a workplace that requires virtual silence. It has a kind of a light humming noise. For those obsessed with monitoring their progress, this elliptical comes with a mobile app where you can keep track of strides, distance, time, calories-burned, and RPM. Like other ellipticals, this one provides a smooth rhythmic motion that goes easy on your joints. In fact, using this machine feels even gentler on your knees than the stand-up models. It compact size makes it easy to store and it’s light enough to easily move but heavy enough to stay in place. There’s a foam liner underneath to help it stay put. The Cubii includes 2 roller-stoppers to ensure you don’t get so into your “work”-out that you pedal your rolling office chair away from your desk. While this is designed for placing under a desk or table, this elliptical can be used while sitting in an armchair or on the couch. This means you can watch TV, surf the web on your laptop, play video games, or read a book while getting in some exercise. The pedals are large enough to accommodate a large shoe – any woman’s size shoe will easily fit. It comes with 8 resistance levels which are generated magnetically This seemed to give the calves, quads, and glutes a decent workout. It’s comes partially assembled. The pedals need to be attached, so you’ll have to expend a little elbow grease, but it only takes about 10 minutes. The Cubii measures approximately: 23” x 18” x 10” and weighs less than 30 lbs. It’s small enough to easily fit under an office cubicle or standard sized desk. You will need at least 3” of clearance to use this when situated under your work surface. You can get a backward motion going on this elliptical. It just takes a bit of perseverance to get it to cooperate. Once you get get the knack of it and reach a steady rhythm, you can work some of the minor muscles that get neglected in everyday activity. For its size, this sit-down elliptical offers solid resistance and would be capable of toning the lower body. 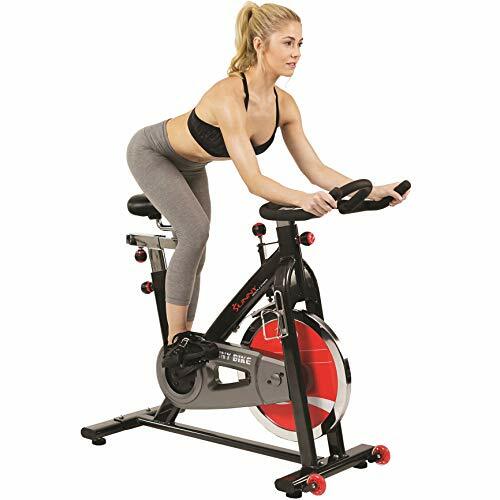 It’s very similar to a stationary bike with the difference of elliptical motion rather than circular.In terms of fitness, there is a downside to this mini-elliptical. It won’t do much for the core and nothing in terms of strengthening the upper body but if you’re looking for the best under desk elliptical, the Cubii is it! The Sole Fitness E35 Elliptical Machine is a higher-end home elliptical. If you’ve gotten spoiled by all the bells and whistles on the ellipticals at your local gym and want to invest in the best elliptical machine for home use this may be the one for you. This elliptical comes with so many features and functions, it’s hard to enumerate them all but I’ll give it a try. It’s got an LCD display that’s generous in size and includes a lip for placing reading material or your tablet. It’s worth mentioning the display is backlit, so it’s easily visible even in rooms with not-so-great lighting. There’s a built in fan and water bottle holder. One downside about this design, though, is that a device any larger than a Smartphone blocks the air; so if you want a breezy elliptical experience don’t expect to read the latest version of Cosmo at the same time. 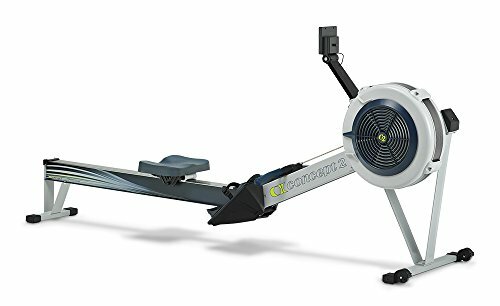 As would be expected of a trainer of this caliber, the Sole Fitness E35 tracks your distance, time, calories burned, stride, and rate. A pulse grip allows the machine to capture your heart rate. It also comes with a chest strap for the same purpose. We aren’t sure why it comes with both features and using the strap seemed to be more trouble than it was worth. From the console you can control the workout program and this machine comes with 8 separate options. This is good news for someone like me who gets easily bored of doing the same routine everyday. There are a total of 8 programs- 6 standard and 2 customizable. You can also control the resistance and incline on the console, which is at the tip of your fingers. These are nice functions which help you to keep your workout from becoming humdrum. Also, it allows you to tailor the setting to your level of fitness. This is true for beginners as well as for fitness buffs. One point worth making has to do with the stride. This machine has a non-standard stride. In other words, the stride increased as you raise the incline. This is great news for taller women. There are a total of 15 incline levels. The size isn’t necessarily a disadvantage if you plan to place your elliptical in a home gym or the basement; but this elliptical is not portable and is quite bulky in appearance. Once you get it into your house, it seems to take over more space than you would imagine from the pictures; and it’s a heavy piece of equipment. It measures 27 x 58 x 83 inches and weighs 230 lbs. Because of its weight and the pressure this machine applies to flooring, we would recommend using a pad on any surface that isn’t carpeted. This will help to protect the floor. In general pads help to minimize noise and stabilize exercise equipment, though in the case of this elliptical we don’t see room for concern about wobbling or vibration. This machine is quiet, creating a soft humming noise but nothing loud enough to disturb someone else in the room. As long as you keep it well-lubricated and clean, noise shouldn’t become a problem. Thanks to resistance handlebars, this elliptical trainer can provide a full-body workout. 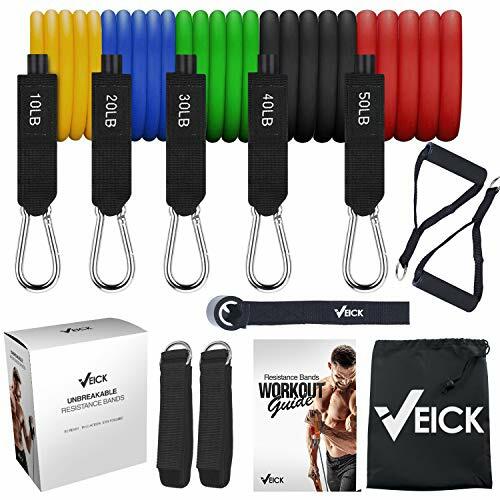 It has both resistance handles for when you’re in the mood for full-body and a set of stationary ones if you just need to keep your balance. Regardless, whether you choose to include the upper body during your elliptical session or not, those resistance bars are going to continue moving. There’s no way to stop them. For me, that’s a little annoying. This doesn’t seem to be unique to this machine. I’ve never seen a machine where they can be disengaged. The Gazelle Freestyle is a popular model, in part, because it’s fully portable. It folds, rolls, and stores away in small spaces like under a bed, in closet, or behind a door. It’s pretty easy to maneuver thanks to its relatively lightweight build. 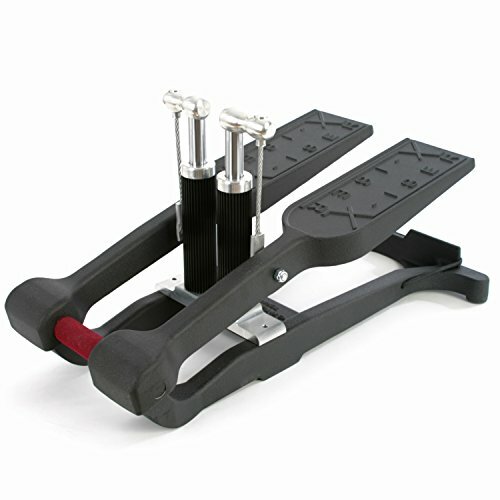 The pedals are good size and designed to be non-skid, though I must point out it seems your foot could slip off these foot platforms easier than on some other ellipticals. The traction doesn’t feel as secure. You should use caution when mounting or dismounting because it’s a bit more wobbly than its competitors. The Gazelle Freestyle has a built-in computer which tracks your speed, distance, time, and heart rate. It also monitors your heart rate via a thumb pulse feature which displays on the screen. This display requires use of batteries. There’s also a cup holder so you can keep well-hydrated during your workout. This is machine is cord-free, relying simply on your own momentum to get it going and keep it moving. It’s easy to use but may feel awkward at first. You’ve got to get a rhythm started, but after you get the knack of it, it’s a cinch. It glides along easily once you get the hang of it; and this is where the Gazelle might be problematic for some. 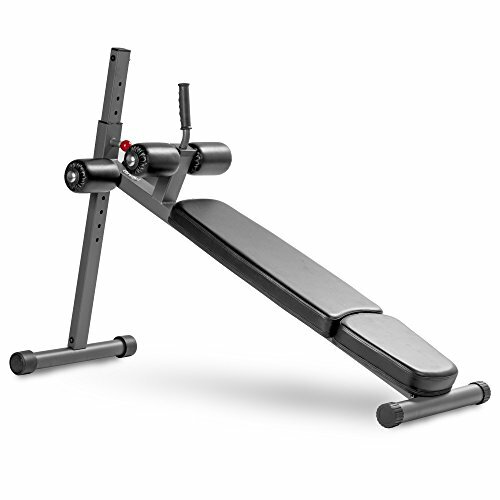 Unlike the other models, the Gazelle Freestyle does not have incline or resistance mechanisms, so resistance must be adjusted by using your own stance. Leaning forward requires more effort, thus seemed to create more resistance for a more challenging workout. 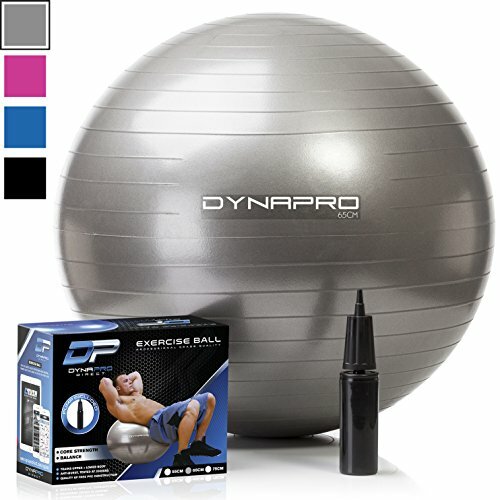 Given that this machine doesn’t have variable resistance or incline, it is less challenging to use and so wouldn’t be a good choice for someone who is in great shape or for someone who is looking to push themselves really hard. 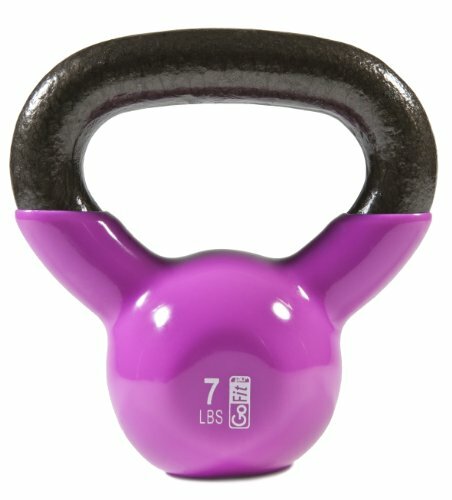 The Gazelle Freestyle model would be more appropriate for someone who is just starting a workout program or someone a little older. Compared to a gym-quality elliptical or a treadmill, you just won’t be able to work up the same level of cardio on this model. We found this machine to be quiet, without any noticeable squeaks, though some customers pointed out it began to get noisier with continued use. If you lubricate it regularly we feel that shouldn’t be an issue. The Gazelle Freestyle is an ideal choice for the woman who wants to add some activity in her life or for someone who lives in a small place and needs to store her machine when not in use. This compact elliptical weighs only 46 lbs and measures approximately 54 x 34 x 44 inches. Gazelle also includes a DVD with ideas on how to the get the most out of one of the best elliptical trainers for a budget price! There are a multitude of considerations to take into account before selecting an elliptical trainer that will meet your needs. Make sure to review various elliptical models, taking into account features that are must-haves and preferences versus ones that are less important. Consider what your usual use of the elliptical will be like. For example, if you already have a tracker like a FitBit, the elliptical tracker may not be a priority for you. If working certain muscle groups is crucial, getting a machine with incline settings would be key. The console on a unit can have lots of bells and whistles or can be bare bones. Most include some kind of display that will provide at least basic feedback about your workout– such as calories burned, distance, and time. How much detail about your workout and progress do you like? Checking out what other customers have to say about the reliability of a particular model is time well-spent. If you like to have your drink at arms-reach, keep your eyes peeled for a model that includes a cup holder. If you enjoy passing the time on your elliptical by listening to music, built in speakers is a nice accessory. If you plan to read or watch videos on your tablet, ensuring the console includes a shelf/ledge would be wise. Ellipticals by nature work the lower body muscles, however if you want to focus more on one area than another or if you want to mix it up sometimes, you should make sure your model includes an incline feature. By varying the incline of the machine you focus on different muscle groups. For example, placing the elliptical trainer on a significant incline works the glutes more than when you have no incline. Imagine walking uphill and how the glutes work harder to get you up the hill. This is also true for the calves and hamstrings. They will get a better workout when the machine is set to an incline position. While the majority of ellipticals come with the ability to change resistance level, this isn’t true for all models. For example, the Gazelle FreeStyle doesn’t have this feature. Your workout relies entirely on your own effort. If you want to break a sweat and get a real cardio experience, built-in resistance settings is essential. Perhaps you already routinely lift free weights or hit weight machines at the gym for your upper body. If that’s the case, the resistance bars on an elliptical won’t offer you much benefit. You should really consider your fitness goals when deciding on essential features. Or if toning isn’t of concern to you, the incline function may not be worth investing in. In that case, if your focus is to simply get a good cardio workout, choosing an elliptical that offers variable resistance would be a must. Some ellipticals offer Bluetooth technology. If you don’t want to deal with a bunch of random cords that may get in your way, selecting a machine that is Bluetooth enabled makes sense. That way you can stream music to the device’s built-in speakers and link apps in order to track your fitness data. When we speak of portability, we aren’t talking about schlepping your elliptical on a road trip. None of them is that portable, however some machines are so large and heavy they must be planted in one area of your home and they ain’t moving. If you have a small place and choose to store your elliptical when not in use, portability is something to take into account. Or perhaps you’d like to transport an under-the-desk elliptical between office and home, it’s got to be light enough to reasonable move it. The machine’s height is something to take into account when shopping for an elliptical. Some suspend you a good distance above the ground, while others have you practically grazing it. You must consider your height, and if family member plan to use the elliptical, theirs as well. Also keep in mind the height of the ceiling where you’ll be using the trainer. For example, many people set up their equipment in the basement where ceilings are generally lower. You don’t want to knock your head in the throes of an enthusiastic workout. Do you plan to make elliptical training your primary mode of workout, or is an activity you plan to do as a way of adding variety to your usual routine? If elliptical training is primary, it’s important to invest in a durable, sturdy model that’s likely to last. Q: What Muscle Groups Do Ellipticals Work? A: With the exception of the under-the-desk models, ellipticals come with built-in resistance handlebars. For this reason, an elliptical is able to tone and strengthen the entire body. If using the resistance handlebars, you will work the chest, back, shoulder and arm muscles. The action of pedaling on an elliptical works the glutes, core, thighs and calves. When working out on a stand-up elliptical trainer, it’s important to maintain good posture to maximize the effect on your core muscles. No slouching allowed! Q: Are Ellipticals Good for Cardio? A: Yes. A workout on an elliptical is excellent for cardio fitness. Most models allow you to adjust the resistance, so as your fitness level improves, you can continue to challenge yourself by selecting a higher resistance. This is true of the incline function as well. A higher resistance and incline level requires much more effort from the user, thus challenging your heart to work harder. Q: Are Ellipticals Good for Weight Loss? A: Yes. By selecting a challenging resistance level and incorporating the resistance handlebars, you can burn up to 800 calories per hour. Q: What are the Benefits of Using an Elliptical? The design of an elliptical and the body movements used to propel it create an exercise that is less likely to put strain on your knees and other joints. Unlike running or other high impact cardio activities, there is no pounding on hard surfaces. Your feet stay planted in one place, so there’s less likelihood of losing your balance and spraining an ankle. This low impact motion of an elliptical is a plus for those with joint-related ailments. For those machines that include variable incline, you can select the level to focus more on certain muscle groups – thighs, calves, or rear end. For those with resistance handle bars, you can choose to engage them or simply use the stabilizing handles. When you use the resistance bars, the elliptical offers a full body workout. You can choose your own preference depending on your fitness goals. Because an elliptical trainer is stationary it requires no more than moving your body in place. Many fans of ellipticals enjoy binge watching their favorite Netflix series. By being immersed in your favorite show, your workout will fly by. Most models track stats like calories, time, heart rate, distance, and speed; so if you want to monitor your workout or track progress, an elliptical provides an easy, built-in way to do that. Because an elliptical trainer is used exclusively inside, bad weather won’t interrupt your fitness routine. It also provides women with a safe way to exercise because it can be used night or day and you don’t have to worry about being alone at night. Q: What are the Drawbacks of Using an Elliptical? Compared to other fitness equipment, elliptical trainers can be quite pricey reaching over $4,000 for a gym-grade model. Still, there are reasonable options for in-home use that start in the $80’s. Of course there’s the saying “you get what you pay for”, so trying to balance quality with price is a wise idea before choosing. Using an elliptical exclusively for your fitness program can become boring. It’s important to vary your workout in order to keep your interest engaged and stay motivated. Remaining stationary, with nothing to look at but the four walls can get old. That’s why many elliptical users opt to find entertainment on their tablets, listen to music, or watch TV. Most elliptical trainers include resistance bars; or at least, if you want a full-body workout you should select one that does. In spite of this feature which allows you to incorporate upper body work, there is no way it can compete with lifting weights. Using an elliptical will help to strengthen your entire body, but you won’t’ get the same results as incorporating weights into your routine. For people who are unnaturally uncoordinated, using an elliptical (at least, at first) may prove challenging Should be few people. Good quality machines are expensive. One size fits all machines can be uncomfortable for extremely tall or short users due to the elliptical’s set stride distance. Those who must overreach to keep stride can hyperextend the knees. Taller folks may find the set stride to be ineffective or awkward to use machine. In summary, deciding which elliptical is best for you is a personal decision based on how you plan to use it, areas of the body you want to focus on, fitness goals, and features you prefer. We hope that our thorough reviews of these 5 elliptical trainers will support your efforts in finding the perfect fit for you. 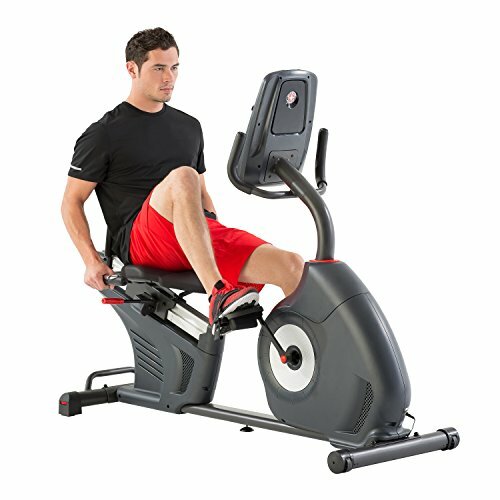 I hope this guide was helpful for finding the best elliptical for home use to fit your needs. If you want to comment or recommend an elliptical I didn’t include, please use my contact form to get in touch. The Sole Fitness E35 Elliptical Machine won the "Editors Choice" award with a combination of workout, quality and value.